PARIS (AP) - French President Emmanuel Macron on Thursday formally recognized the responsibility of the French state in the death of a dissident mathematician in Algeria in 1957, admitting for the first time the French military's "system" that included torture during Algeria's independence war. Audin, a French communist mathematician, was arrested in 1957 by the French military during the battle of Algiers. His body has never been recovered, but historians widely believe he was tortured - which Macron acknowledged, a major break with France's official version of the war. "The only thing I am doing is to acknowledge the truth," Macron told Josette Audin. Maurice Audin has become the symbol of France's abuses during the brutal war in its former colony that ended with Algeria's independence in 1962. A square in Algiers bears his name and his widow's battle to uncover the truth made his case a cause celebre. 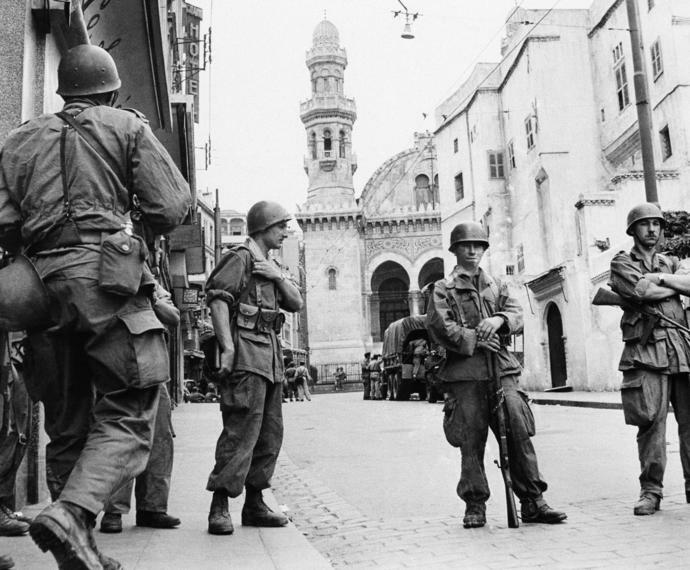 Both the occupation and the brutality during the war have embittered ties between Algiers and Paris. French authorities did not refer to war at the time, calling the violence, disappearances and bloodshed an "operation to maintain public order." Only in 1999 did France officially call the combat with Algeria a war. Security forces were allowed to arrest, detain and interrogate all "suspects" through special powers accorded by parliament to the French Army that gave them carte-blanche to re-establish order. "This system was the unfortunate ground for acts, sometimes terrible, including torture that the Audin affair has highlighted," the declaration says, adding that it made torture a "weapon considered legitimate." Torture wasn't punished "because it was conceived as an arm against the FLN" - the National Liberation Front fighting for Algeria's independence - "but also against anyone seen as its allies, militants and partisans of independence." In Algeria, Veterans Affairs Minister Tayeb Zitouni offered a measured reaction, calling the French move a "positive step." But, he added, "we await other gestures and other acknowledgements from the French president." Macron announced that France will open its archives in the defense, interior and other ministries, telling Audin's widow that "everyone should know the truth." Historian Benjamin Stora, a noted specialist on the Algerian war, wrote Thursday in the newspaper Le Monde that Macron's gesture represents a "new marker" in lifting the veil on the brutality of the war and the rancor it has fed. "How do we grieve this war if we don't evoke the fate of people who were never buried?" he asked. Macron's predecessor, Francois Hollande, had previously acknowledged that Audin didn't escape - the official version of events until then - but died in jail.